I have so much admiration for Stephen King. There are few authors who have managed to be as enduring and successful as he has. 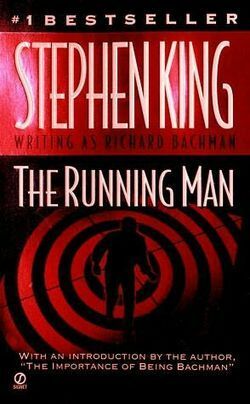 The Running Man is a great example of his ability to write an enthralling novel outside of his normal genre. I’m a very late addition to the Stephen King appreciation society. I blame the movie IT. Scared the crap out of me as a kid and made me fear reading King novels. I’m a big boy now so I’ve started to buy up a few of his books (ebooks and DTB)and will be diligently reading them. Actually I’m not sure I have that one, I’ll have to check. I was eyeing off The Stand, which my wife bought at Xmas time and loved. Previous Previous post: What did you mean?